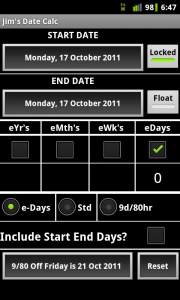 As a project engineer / project manager I needed an easy to use and accurate date calculator. Also since I work on a 9/80 work schedule, being able to know how ‘off-Fridays’ impact available working days was a must. Additionally, calculations must match those expensive project scheduling applications everyone uses on their desktops. 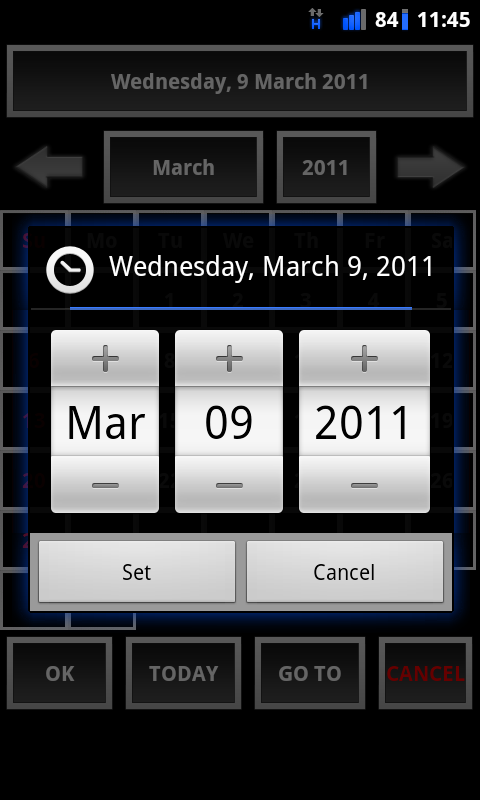 One of my dislikes with Android’s date entry is that it is limited and not user friendly. 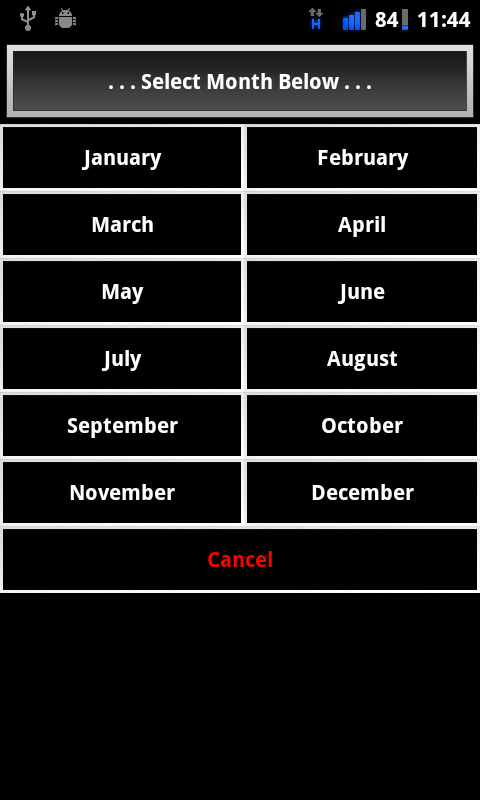 took it further with a better month and year selection interfaces as well. If you still like the original Android method, it is still there, just hit the “Go To” button. – e-Days (elapsed days) counts everyday of the week including Saturdays & Sundays. 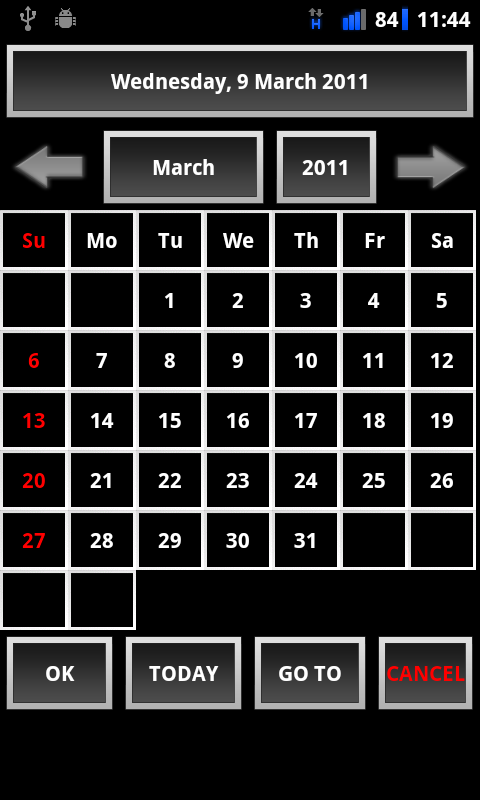 – Std-Days (standard days) counts only Monday thru Friday (Note: Saturdays/Sundays are ignored). – 9/80-Days counts only Monday thru Friday (skipping every other Friday) (Note: Saturdays/Sundays are ignored). – 8 days (9 hrs/day), working Friday is 8 hrs for 40 hrs total). Note: only off Fridays can be selected (that’s the whole idea of off Fridays!!). – enter your amount (BE SURE TO TAP “DONE” TO ENTER THE VALUE). Screen shots . . . . I hope you enjoy and make great use of this application. 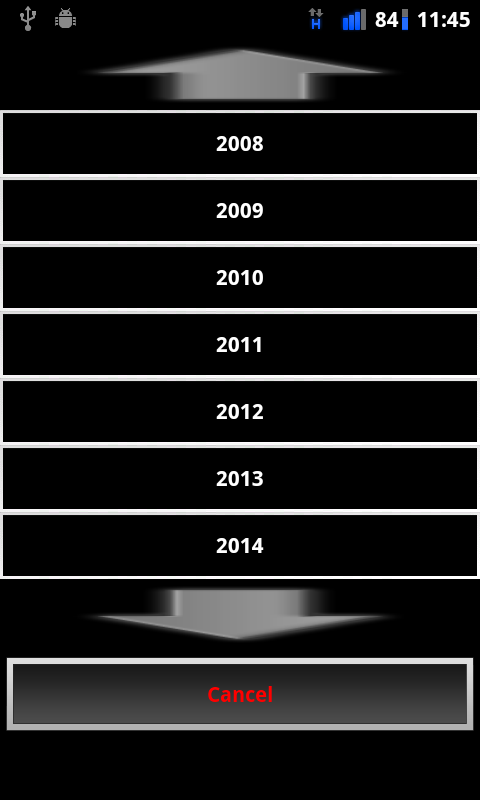 be selected as a valid start or end date. months less than 10, aka 2016-02-09 vs 2016-2-9.